If you're anything like me you are resistant against, tooth and nail fighting, every new social media platform that seems to roll out. I'm an early adopter, by nature, but when you work with social media for a living you have to be cautious as to what you'll invest your time into. It seems like there's a new social sharing system popping up every week and nobody has time to try and learn them all. This is why it took me a little while to 'jump' on the Instagram bandwagon and embrace Instagram as a form of social sharing and networking. If we're gonna be honest, Instagram is still very much a playground for me. It's kind of like an abridged version of Pinterest- I can hop on and browse hundreds of random images from my phone, anywhere in the world. It's a visual playground, but much more simple than Pinterest (and still growing in popularity). Many companies are now requiring bloggers to post to Instagram OR Vine for short content syndication. As the platform grows it might be a good time to look into growing your own following and working on shaping the content you create to appeal to a target audience. While I, personally, use Instagram as a personal account at this time, many accounts do wildly well under a niche focus. Abstract and Pet accounts are some of the most popular and viewed on the platform, as well as #NoFilter shots that boast intriguing photography without alteration. So what is Instagram? It's essentially a fast post platform to share a single image to your followers, or an unrestricted worldwide audience, with unlimited characters of text. 2. Who Are You on Instagram? Like so many major social media platforms today you can easy sign up for a free Instagram account on your computer, tablet, or other mobile device. Unfortunately, you will find the app itself is where you can access your count most directly and interact with the apps functions. There isn't full online PC functionality at this time as Instagram was designed to be a mobile platform. Define your photo stream with 2-3 key topics of focus. Your followers will either follow you for the style of photography you shoot, or the subject matter that frequently appears. 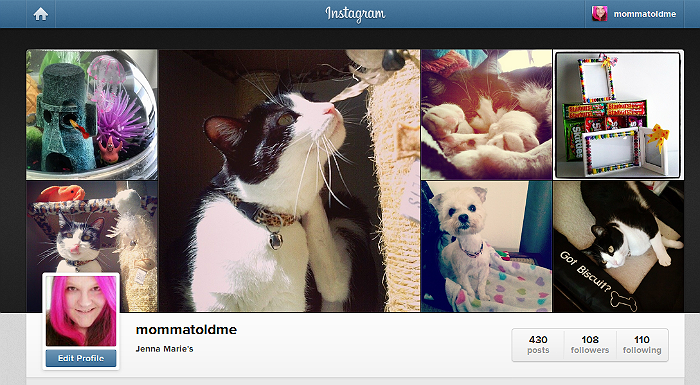 My personal Instagram is typically food/recipe and pet focused. If you're looking to create your own theme why not start posting an outfit of the day or even a day-by-day photo journal of the changing seasons, or a growing plant? You get what you give. I'm still a small fish in a big Instagram pond, but I've doubled my followers this week by searching out people who use the same hashtags I use often. This is a great way to find people who may also enjoy your photo stream. Follow them and a reported 85% of active Instagram users say they return follows. Liking photos that are of similar theme and interest to yours are a great way to get the attention of new potential followers as well! Learn the art of hashtags. There's no secret formula, but there are hashtags that people are known to search for, and even follow, religiously. #NoFilter, #CatsOfInstagram, #DogsOfInstagram, #PhotoOfTheDay, #Selfie, and #Followback are among some of the top trending tags for 2014. When in doubt, toss in more hastags- there is no character limit, but be careful not to overdue it. Studies show hashtags should be limited to no ore than 15-17 characters, and shorter hashtags get more searches. 3. How Do They Get Those Photos? For several months I spent most of my Instagram time envious of the amazing photos I'd see in my stream. I'd wonder what phones were creating these beautifully staged and filtered images- did they have a paid subscription to Instagram with some sort of fancy features? The answer is no- In fact, you'd be surprised just how many photos you see on Instagram weren't taken with a phone at all! As an Android user I've discovered I can upload images to my Google+ profile (even as private) and pull them through my phone (linked to my Google+ account) to share directly to Instagram. Many 'pro' Instagram users also have a variety of photo editing applications on their mobile device they pre-treat and save photo files with. There is a treasure trove of photo editing apps in the Google Play and iTunes store, and many of them are completely free to use. One of my personal favorite types of photo editors is Color Splash. With several different programmers and applications, the Color Splash style apps will allow you to paint out color, to turn an image to black and white, to leave a dramatic pop of color on focus elements! 4. What do people want to see? 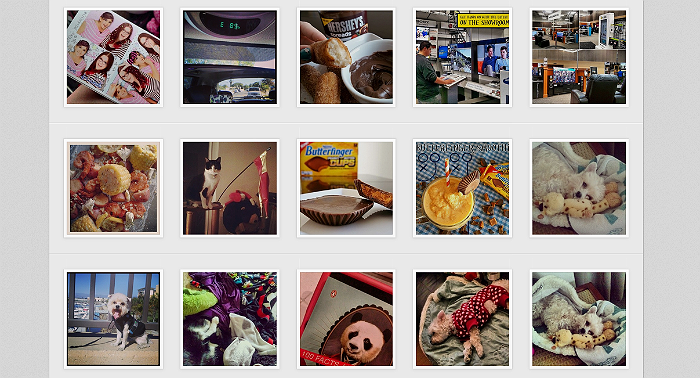 At the end of the day your Instagram feed should still represent you and your interests. However, you'd be surprised what photos tend to get more hearts than others. Often it's not that adorable photo of your son with his face smeared in spaghetti (though kids work on every platform, right? )- it's more likely to be that unique mirror image of the clouds over the water at the harbor, or the duro-tone photo of contrasting colors that requires a second look. Just remember, no matter what you're putting on Instagram, try and develop a theme, and a community will surely follow. In fact, if you are in an Instagram rut, there are thousands of photo communities and Photo-A-Day groups you can join up just be searching. Photo-A-Day challenges can not only grow your network with follows from other participants, but also help develop a theme in your photo stream as well! 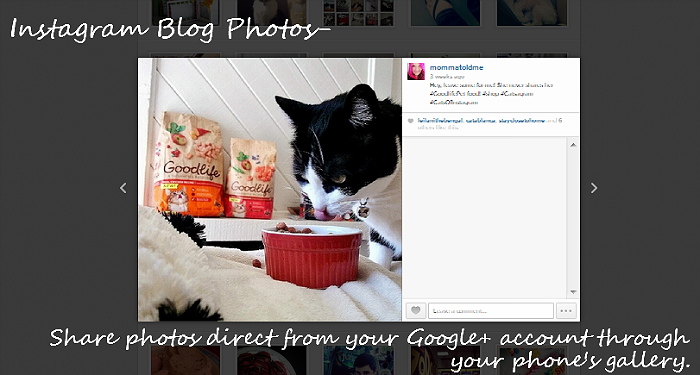 Thanks for the Google+ tip! I wasn't aware of that. I too mostly use Instagram for personal pictures, rather than for my blog. I am heading over to check out Color Splash right now based on your tip! I just recently discovered - by accident mind you - that my photos were all on my tablet. What a godsend for someone like me without a smartphone. I struggled with instagram for just that reason. My tablet does not take good photos AT ALL and now having access to my blog pictures makes using it so much easier. Great tips! Thank you for the advice. I didn't know you could use hashtags on instagram. This is awesome! I use instagram all the time, mostly for personal, but I sure do want to brighten up those pictures. My iPhone is quite old and takes not so great pictures anymore. I plan to use your tips so I can get them to look great! Thanks. This post is ridiculously awesome and something that I needed! I've been fighting tooth and nail as you put it on getting an Instagram, but I think I'm fighting a losing battle. This is the perfect beginner article for someone like me still contemplating on diving into the Instagram world! I never knew about Color Splash! I love your tips, thanks to you I'm more familiar with instagram and hashtag...thank you. 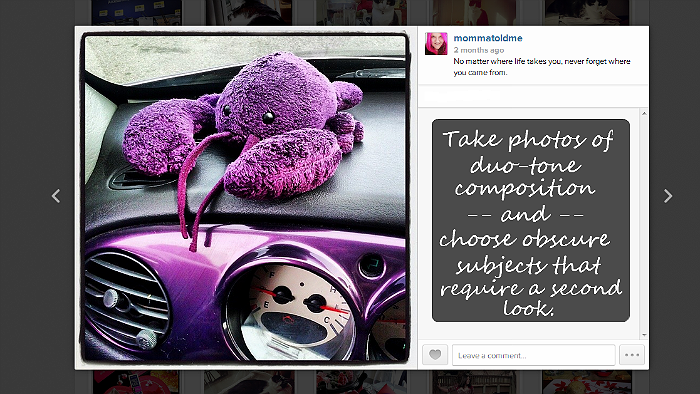 Analyzing your marketing efforts on Instagram is really easy. Instagram Insights gives you all the relevant data about your page. It lets you know how your marketing efforts are paying off.